The Travel Agent Next Door (TTAND) has a long-term preferred partnership with TravelBrands and in particular, there is a special focus on growing sales with Disney Destinations. Training — on going training sessions held throughout the year on product and system training on how to easily and effectively book Disney Destinations. Specialist programs were created to enable agents to sell Disney Destinations with confidence through TravelBrands. Last year, TravelBrands added a Disney Destinations micro site on its travel agent platform. 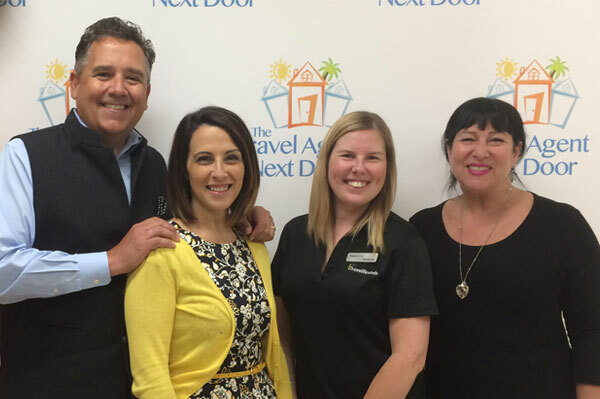 Seen in the photo, from l to r, are Flemming Friisdahl, founder, The Travel Agent Next Door; Erminia Nigro, director of sales, Ontario, TravelBrands; Kristin Erz, business development manager, TravelBrands; and Penny Martin, VP, The Travel Agent Next Door.